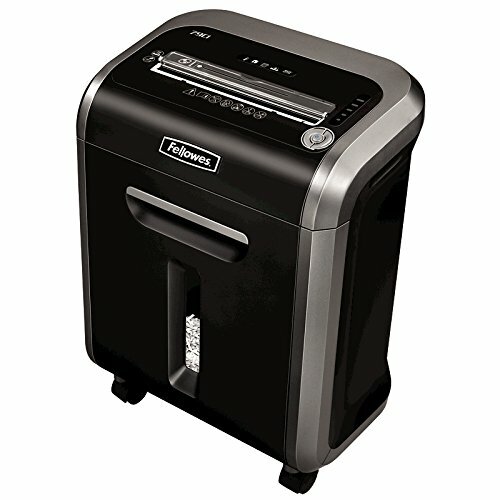 For this post, I have put together a collection of the best paper shredders currently available. Help to keep your identity secure and dispose of your personal documents quickly and easily. I have included a range of shredders including cross-cut devices which slice the paper in two directions, making it much more difficult for someone to re-assemble the original. Also, there is a maximum number of sheets that can be inserted at one time for each of the machines. The higher the sheet number, the faster you can dispose of your paperwork. So depending on the volume of shredding you will be doing, pick an appropriate option. The following paper shredders use the latest innovative components to meet your needs and help to ensure you do your best work. So here is my list of The 10 Best Paper Shredders. 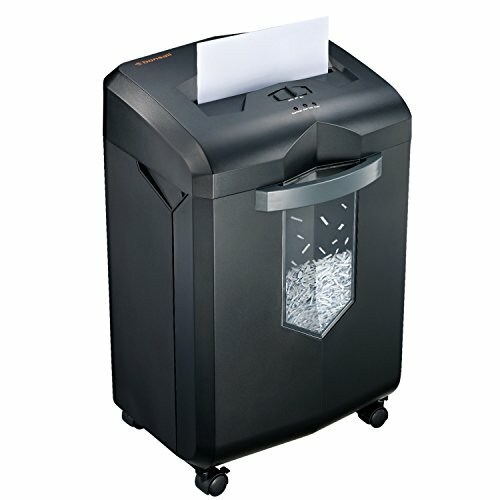 The Fellowes Powershred 79Ci Cross-Cut Shredder can shred up to 16 sheets of paper per pass into 397 cross-cut particles. Also shreds CDs/DVDs, credit cards, staples, paper clips and junk mail. Jam Proof System which eliminates paper jams, powers through tough jobs and maximizes productivity. 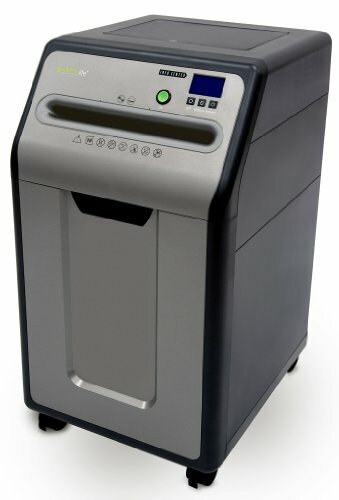 SafeSense Technology is designed with an electronic safety sensor that surrounds the paper entry and automatically disables the shredder when hands touch the paper opening. Includes a 6-gallon pull-out bin. The Bonsaii C149-C Shredder is a multi-purpose 18-sheet Cross-cut machine that can run continuously for up to an HOUR without a cool-down. Advanced cooling system protects the sophisticated controls from overheating and realized continuous shredding. Takes paper, CD/DVDs, credit cards and staples. Shreds up to 5.3 feet per minute. Quiet motor dampens grinding and shredding noise. Shred up to 18 sheets of A4 size at a single feed. Jam detection system automatically reverses paper. The AmazonBasics 6-Sheet Cross-Cut Shredder allows you to thoroughly shred up to six sheets at a time. In auto mode, shredding begins once the sensor detects something has been inserted. Shredded paper drops into the 3.8-gallon bin below. Manual reverse makes easy work of clearing any paper jams. Will automatically shut off to protect the motor if it shreds continuously beyond the max running time. 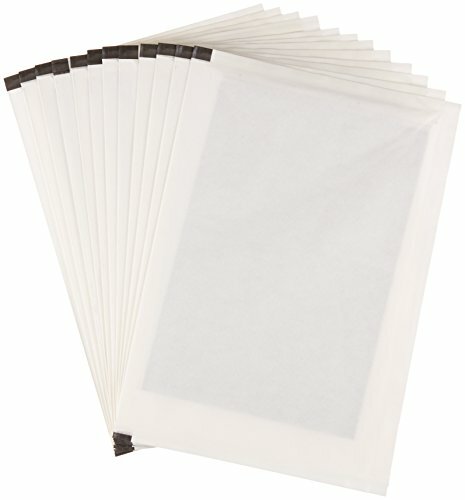 Quickly turns paper into strips measuring 7/32 by 1-27/32 inches. Runs continuously for 2 minutes before needing a 30-minute cool-down. Keep your shredder working great withe these lubricant and cleaning sheets. 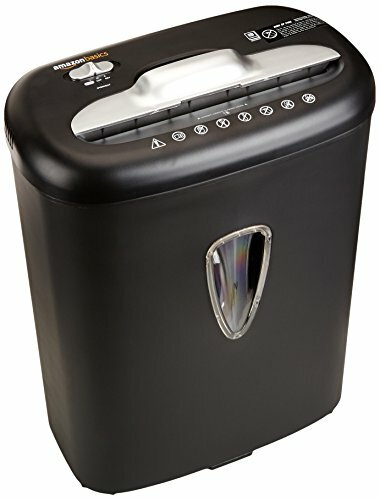 The Aurora AU1020MA 10-sheet micro cut paper/ CD/ credit card shredder is the perfect home and small office device to keep you safe from identity theft. Accepts up to ten sheets of paper at a time. Shreds into pieces 5/32 x 15/32 inches. Also shreds CDs and credit cards. Throat of the shredder is 8.7 inches wide. Includes casters for easy mobility. The Bonsaii EverShred C169-B will continuous shredding up to 30 minutes. Automatically reverses the machine when over-loading to prevent a jam. Anti-jam technology can protect the machine from overloading. Shreds up to 14 sheets of paper at the same time. Creates 1/4 x 1-14/25 inches pieces (Security Level P-4). Speed reaches 6.2 ft per minute and an 8.7 in entry slot can accept all letter and legal-sized documents. The Royal MC14MX 14 sheet cross-cut paper shredder can shred up to 14 sheets of paper in a single pass into small 4 mm x 10 mm micro-cut shreds. Separate cutting slot insures that CDs and DVDs are completely shredded, destroying all your digital information. 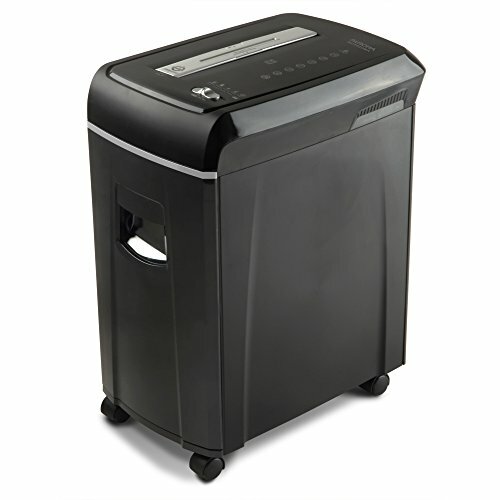 Easy slide out 8.5 gallon wastebasket that holds approximately 575 sheets of shredded paper. Locking casters allows the unit to easily move. Large 8 3/4" opening makes feeding up to 14 sheets of paper easy. 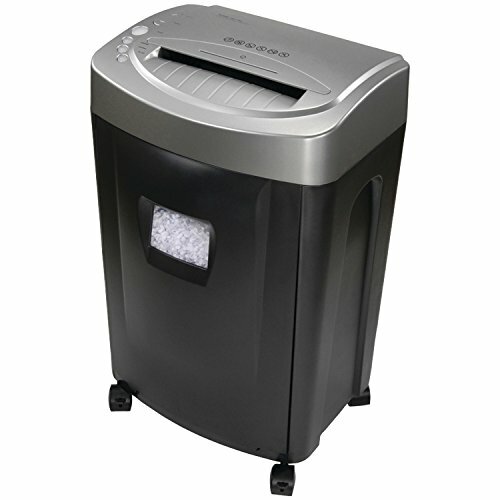 The Bonsaii DocShred C156-D Paper Shedder's simple features make it easy to use and perfect for your home office. Shreds up to 12 sheets of paper at one time. Features convenient handle for lifting the shredding section to easily empty the wastebasket. Auto start mode, the shredding begins automatically when the sensor in the middle of the feed slot detects paper being inserted. Manual reverse can help clear out a jam. Will shut off automatically for a 40 minute cool down to protect the motor if the unit keeps shredding over its maximum 3-5 minutes running time and becomes overheated. 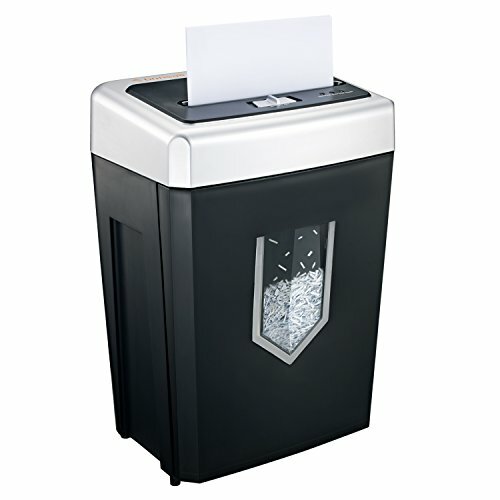 The Sentinel 12 sheet micro-cut shredder reduces paper to 4mm x 15mm pieces for security of your personal data. Auto start/stop means you simply leave the shredder on and simply feed the paper or credit card into the intake. Manual reverse function allows reversing the cutting blades in the event of a jam. Simple to empty, 4 gallon capacity pull out waste bin. Casters make moving the unit easy. Equipped with an over-heat indicator to protect the shredder motor. The GoECOlife GMC225Pi can shred up to 22 SHEETS per pass at a rate of 5.9 feet per minute. Runs quietly and continuously for 20 minutes. Innovative horizontal front feed design and compact size allows you to shred right under any standard sized desk. 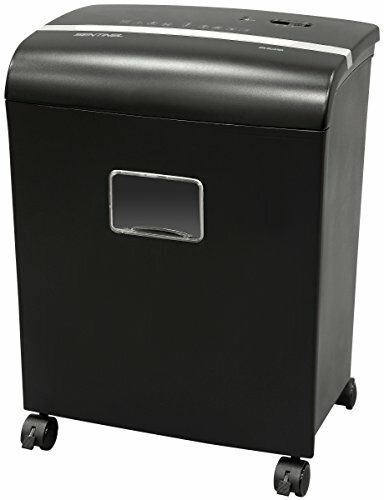 7.9 gallon removable waste bin has extra capacity so you don't have to empty as often. Microcut technology offers DIN Level P-5 security classification. Powers off when not in use, reducing wasted electricity consumption. Includes GoECOlife lubricant sheets to prevent paper jams, reduce noise and dust and generally keep your shredder working properly. 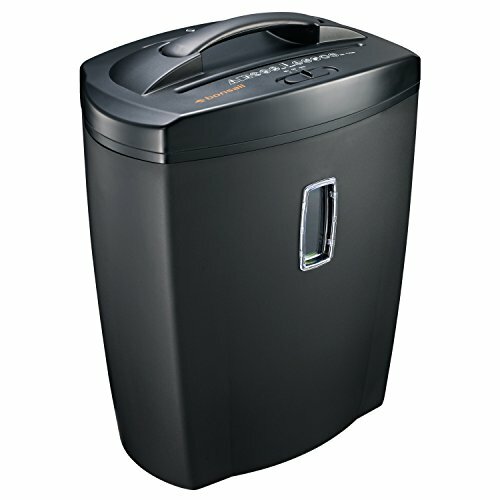 The AmazonBasics 8-Sheet Cross-Cut Shredder quickly turns paper into strips measuring 3/16 by 1-27/32 inches. Cross-cut shredder provides security than a strip-cut shredder. In auto mode shredding begins once the sensor detects something something being inserted. Runs continuously for 3 minutes before needing a 30-minute cool-down. If overheating due to max run time being exceeded it will automatically shut off to protect the motor. 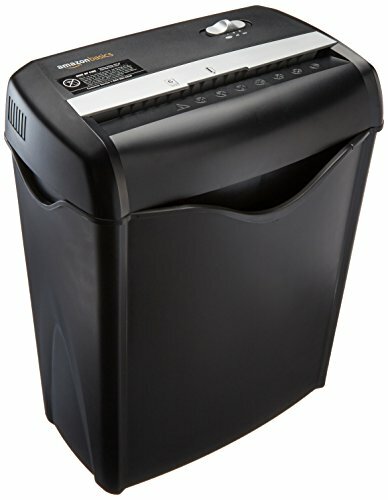 I hope this list of the best paper shredders was helpful.